When it comes to bouquets, we’ve seen and done it all. 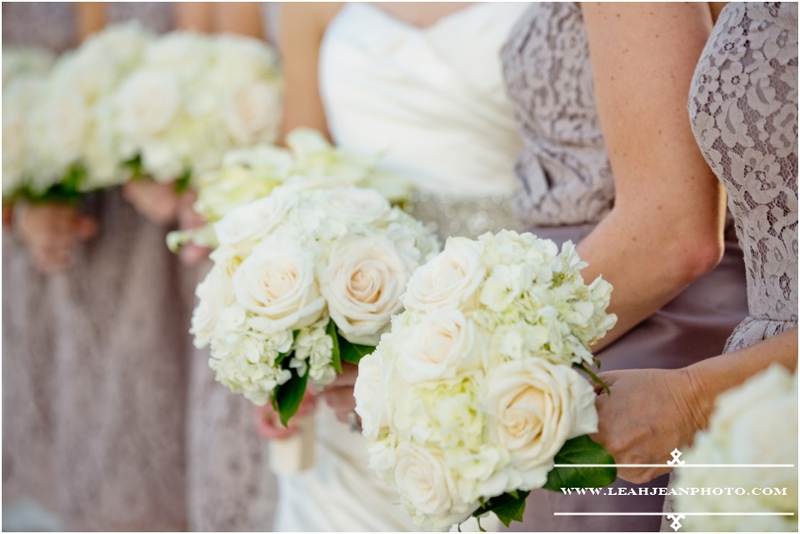 While we love creating bouquets that incorporate several different colors, monochromatic (or nearly monochromatic) bouquets can make a huge impact, especially against a white dress! 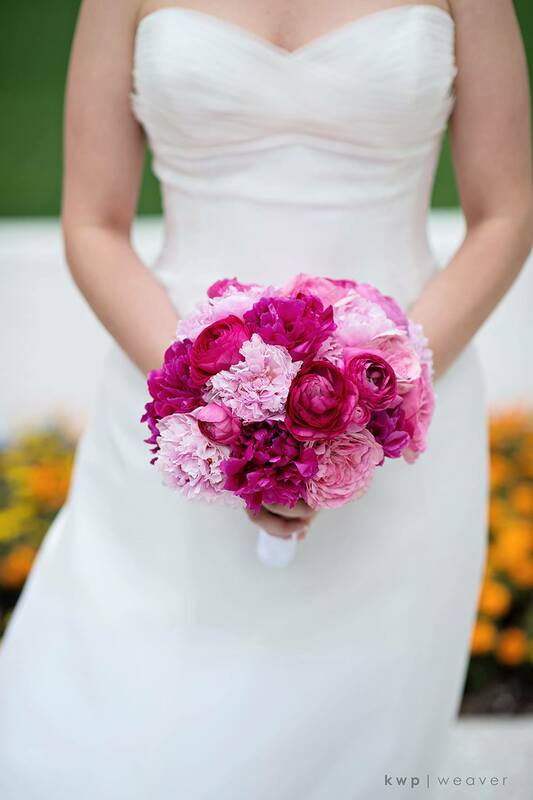 We’ve gathered some of our favorite bouquets in each color of the rainbow for you to enjoy. Ah, the color of passion and romance! 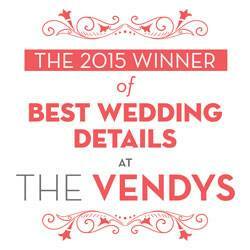 Red is a classic color for wedding floral, but usually isn’t used as intensely as the bridal bouquets seen here. Whether it’s a vivid, fire-engine red or a deeper shade, a red bouquet is bold. 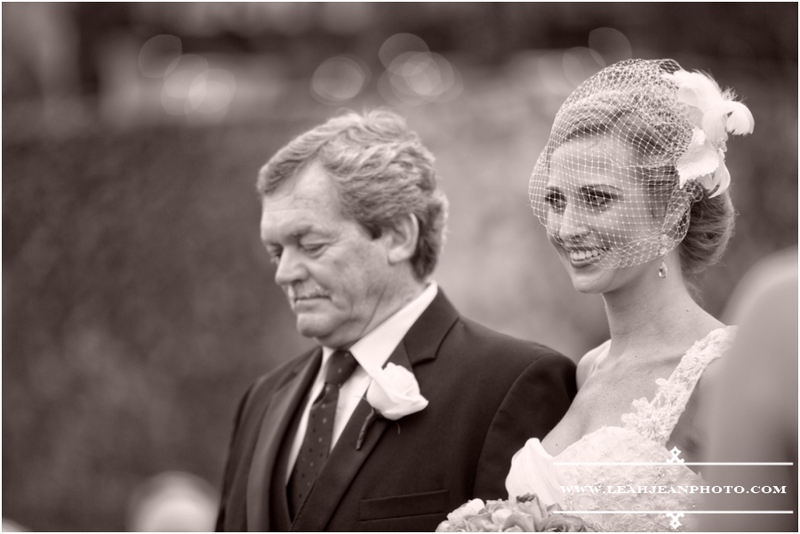 Photo by Claire Pacelli Photography. 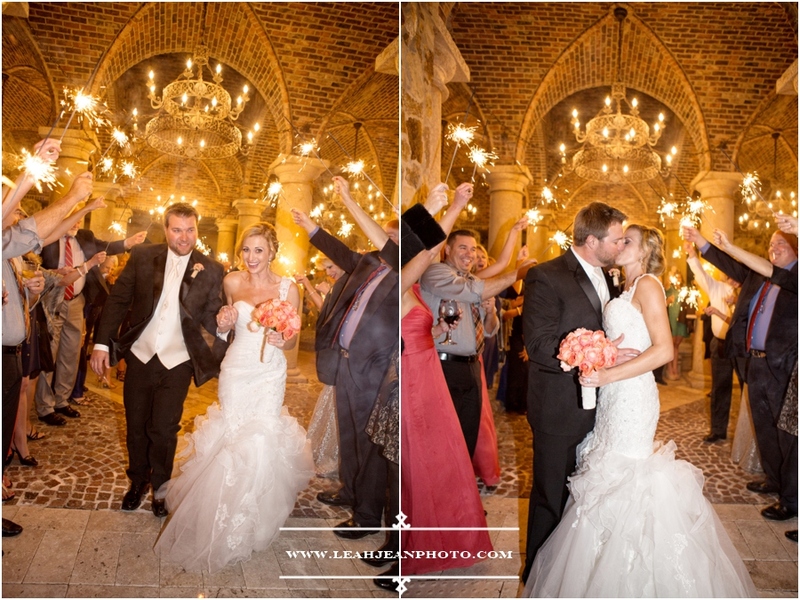 Orange is definitely gaining momentum as a hot wedding color! 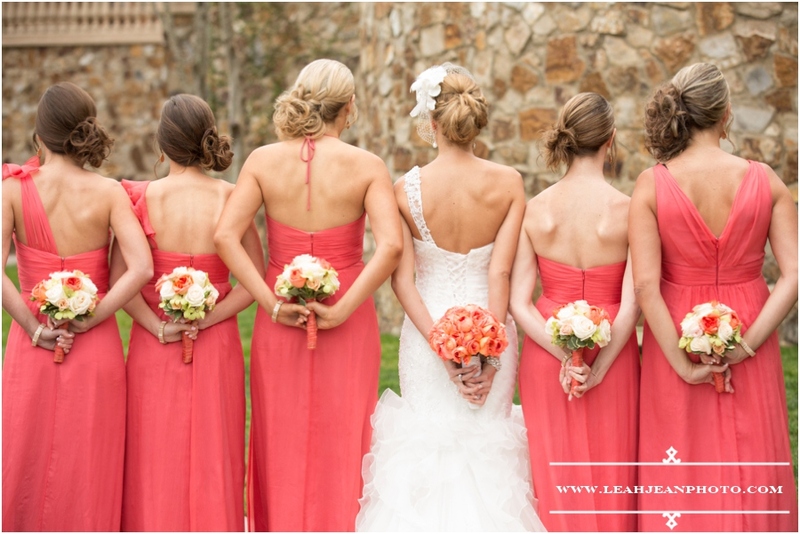 Usually, we have requests for softer shades of the orange spectrum: peach, coral, sherbet. We love how different these two bouquets are from each other: one completely monochromatic and using all one type of flower, the other showing a variation of shades of orange and different textures. Photo by Leah Jean Photography. Photo by Kristen Weaver Photography. 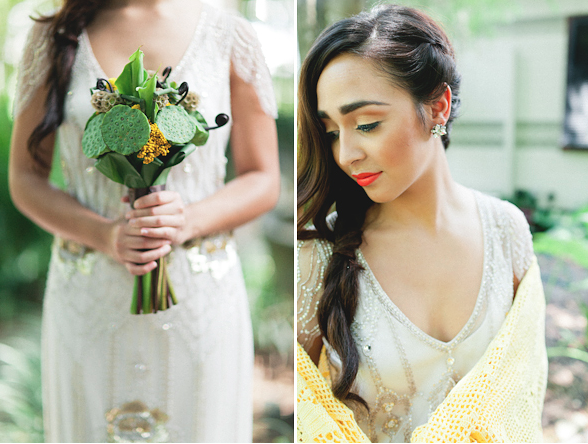 Bright and sunny, yellow is especially great for a spring wedding. It feels youthful and fresh! The color can range from creamy butter yellow to rich sunshine. A large variety of flowers are yellow, too! Photo by Brian Pepper Photography. 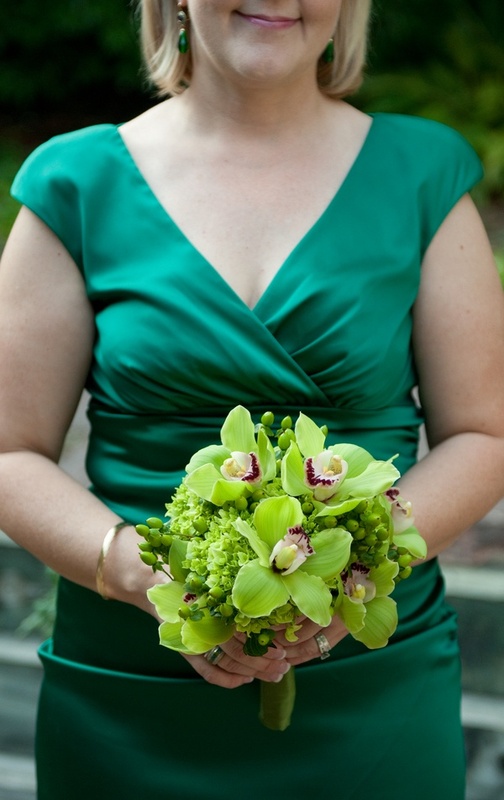 One of the trickier colors for a bouquet is green…or so you would think! In addition to naturally green flowers (like hydrangeas or the orchids seen below), we also have used interesting greenery and even seed pods to create stunning bouquets. Photo by Jordan Weiland Photography. Of all the colors of the rainbow, blue has the most limitations for floral design. 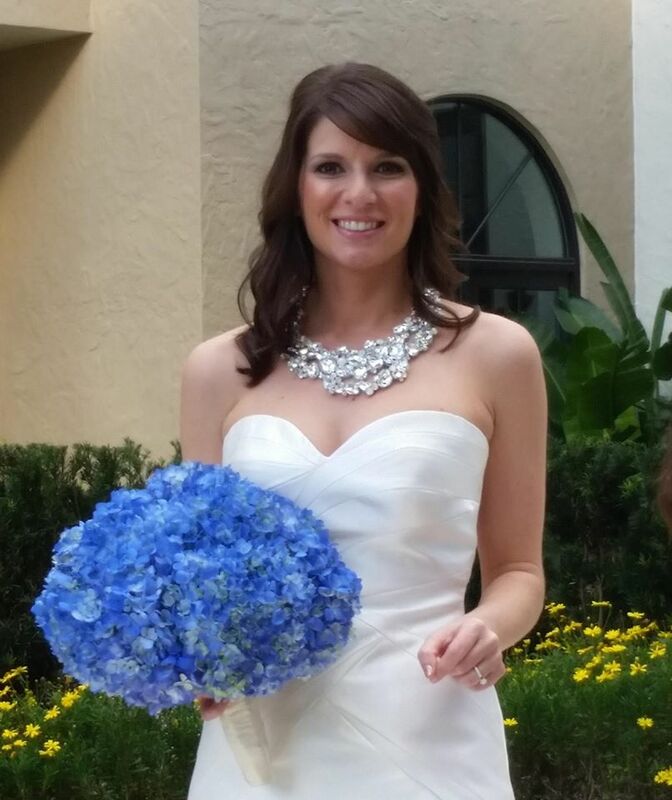 While there are other flowers that are blue (orchids and irises come to mind), blue hydrangeas are a popular request for weddings. Photo via Lee James Floral Designs. Photo by John Unrue Photography. 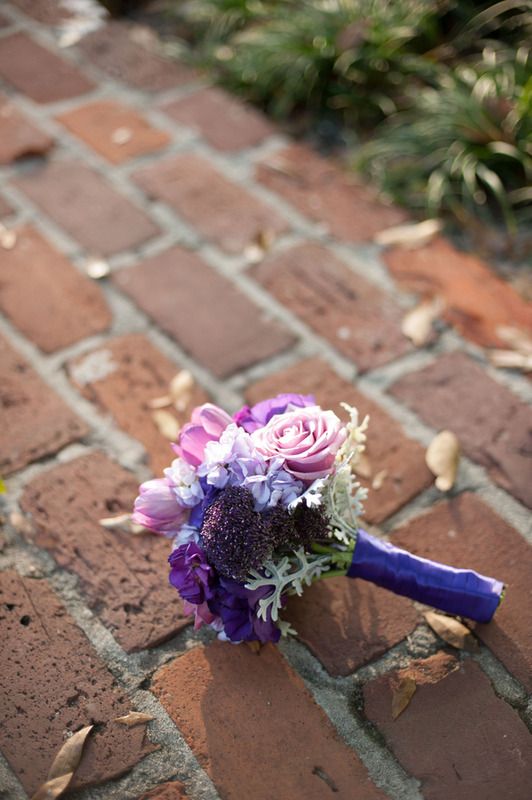 One of the most fun colors to play with in bouquets is purple! 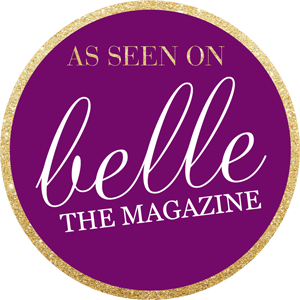 Depending on the shade, purple can be regal or demure, sophisticated or playful. 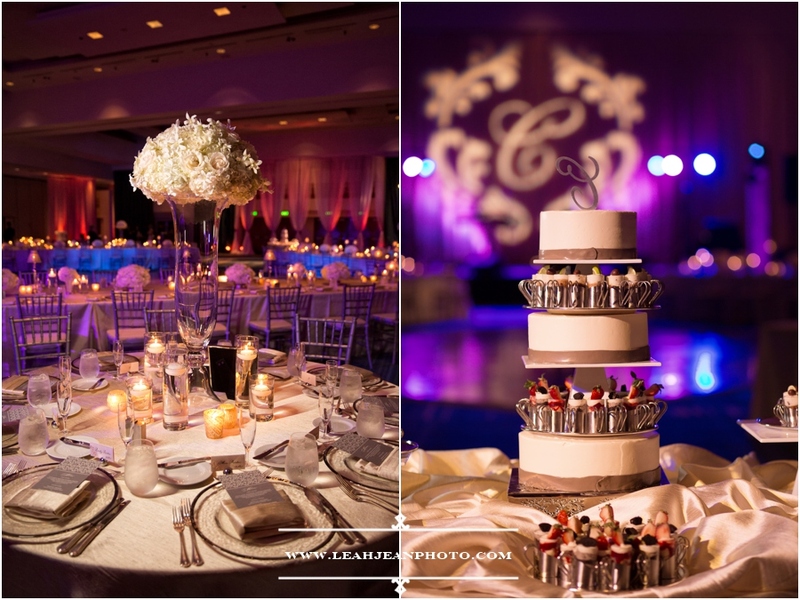 These bouquets, below, both feature a variety of purples, from lilac to plum. Photo by Stephanie A. Smith Photography. Okay…pink isn’t technically a primary or tertiary color. How could we not include pink, though, on this list?! Pink is so popular for weddings. Soft blush pink is definitely trending at the moment (and has been), but we also love the bright fuchsia, cotton candy, and bubble gum shades of these bouquets! Photo by Jeff Hawkins Photography. What’s your favorite color? We can create the bouquet you’ve been dreaming of, just give us a call or drop us a line! 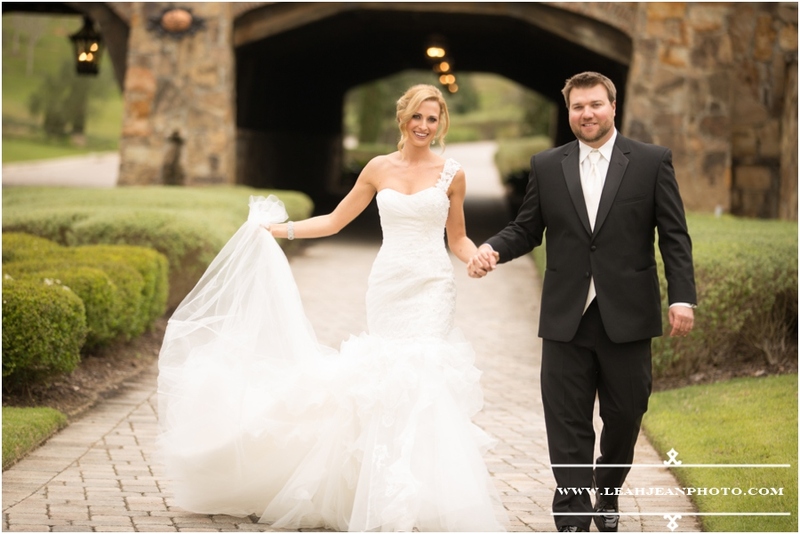 Kim and Ryan’s Bella Collina wedding was an affair to remember. 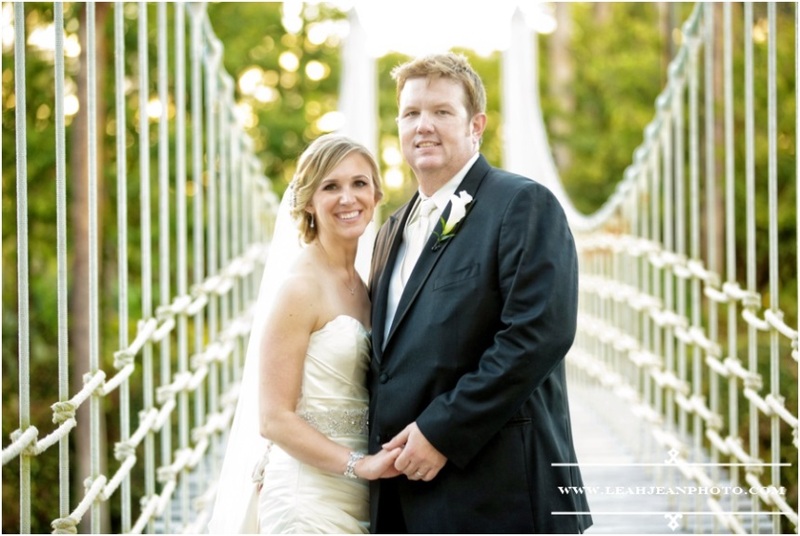 With coordination by Blush by Brandee Gaar, it’s no surprise that their big day was a huge success. 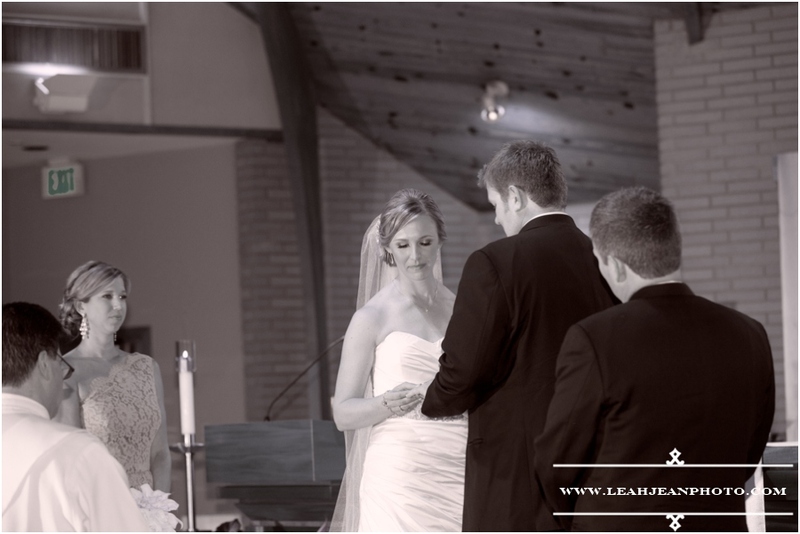 Leah Jean Photography has a wonderful eye, and we are more than excited to share the details from the day with you. 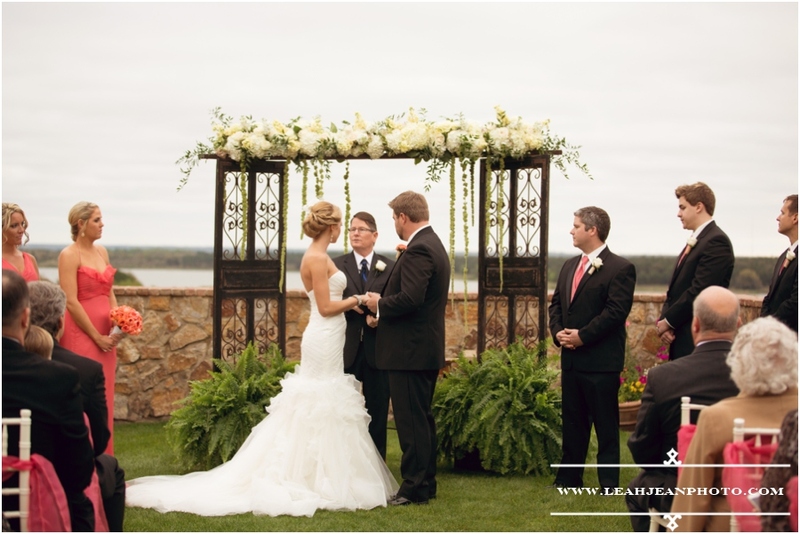 Our ceremony florals included bouquets and hydrangea details. 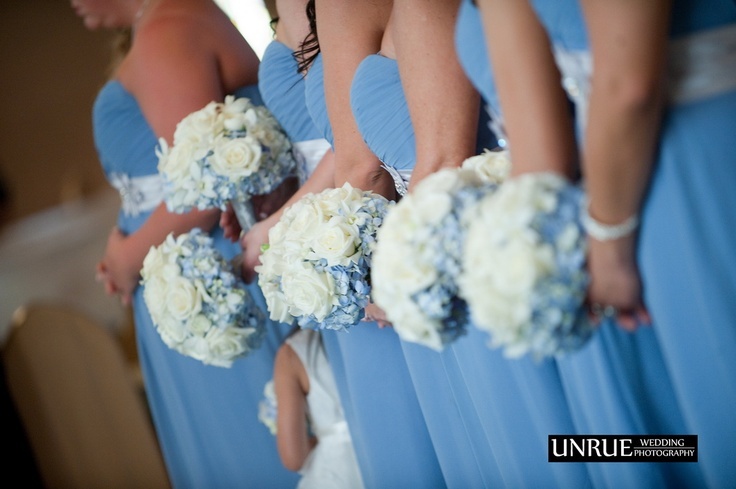 Kim’s bouquet was filled with coral hued florals and her bridesmaids carried white bouquets–each featuring summery pops of color. Beautiful Music provided intimate music for Kim and Ryan’s outdoor ceremony, which was officiated by Doug Koxx. 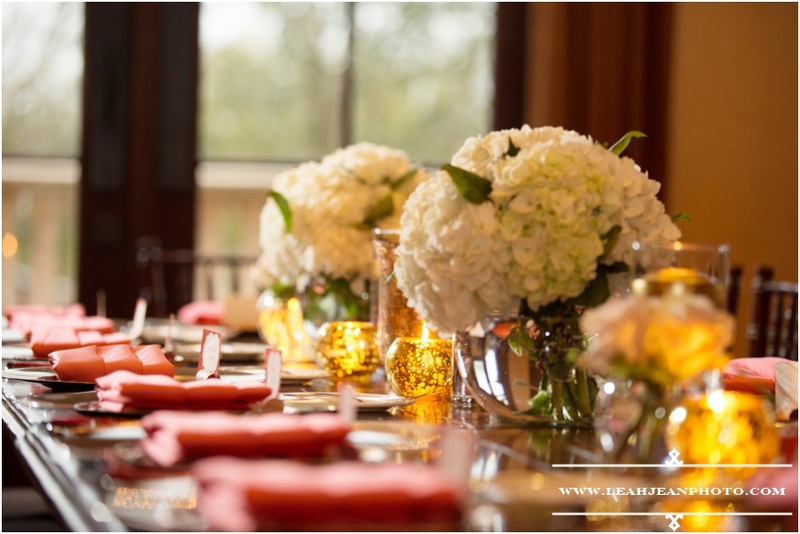 Reception florals included rose and hydrangea centerpieces which were displayed in bulb shaped glass vases. 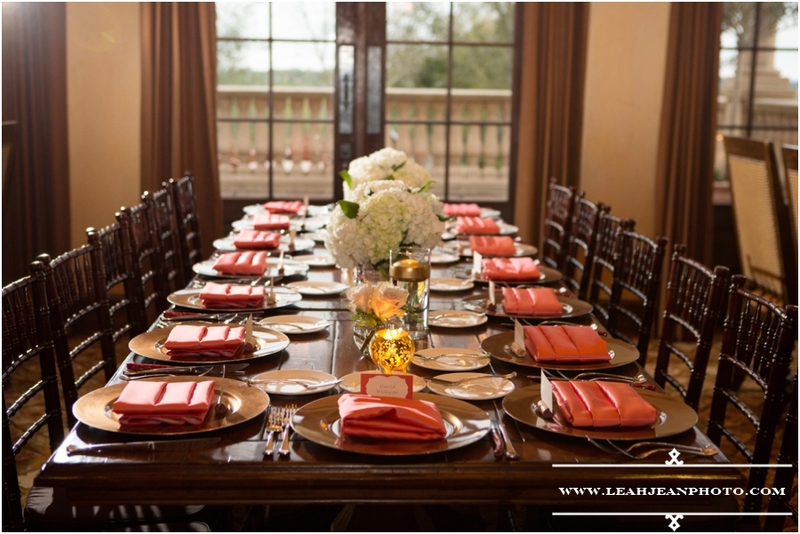 Kirby Rentals provided coral linens for the reception and Party Flavors Custom Cakes baked a delicious cake for the couple and their wedding guests. Soundwave Entertainment kept guests on their feet at the reception. 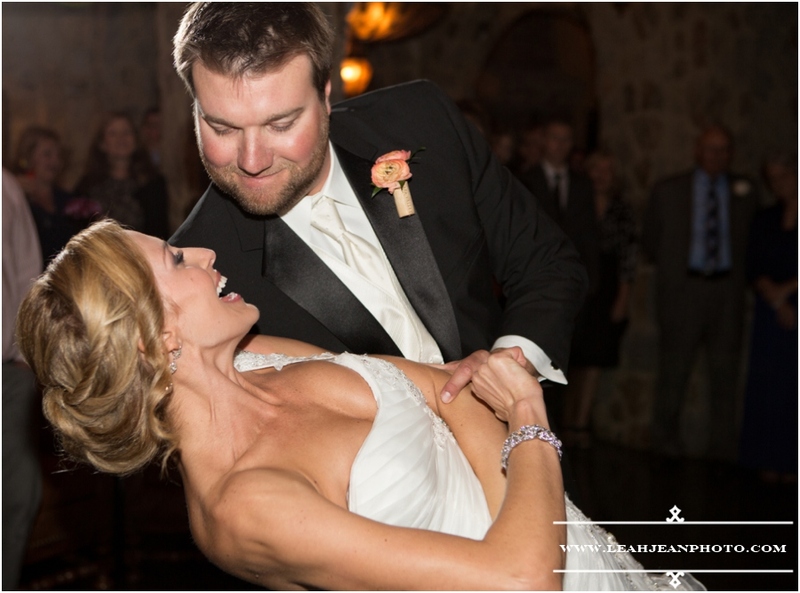 Everyone has a blast celebrating Kim and Ryan. 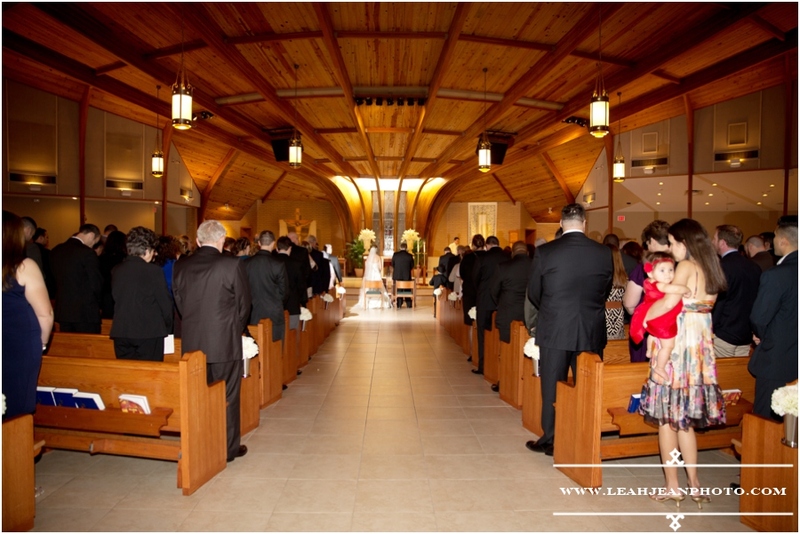 Jen and Tyler said their vows at St. John Vianney Catholic Church. 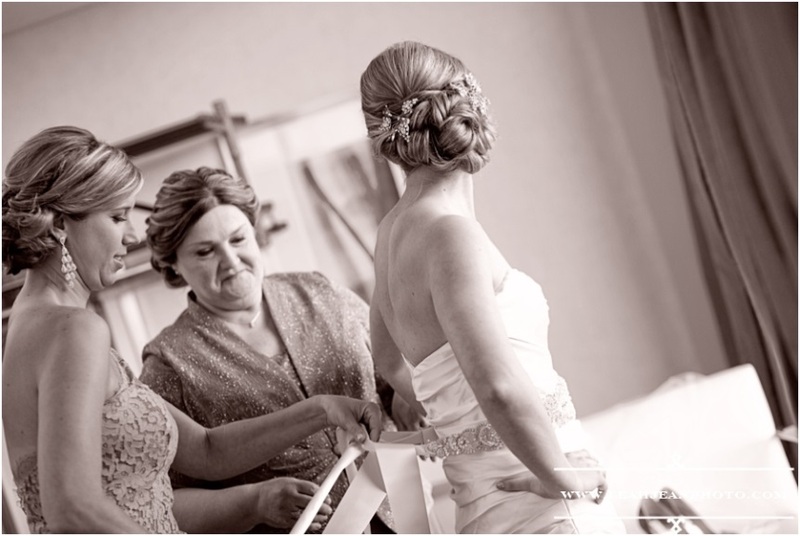 With An Affair to Remember coordinating everything to assure a wonderful wedding, guests gasped as the beautiful bride promenaded down aisle. Resting delicately in her hands, she held our beautiful bouquet of calla lilies. 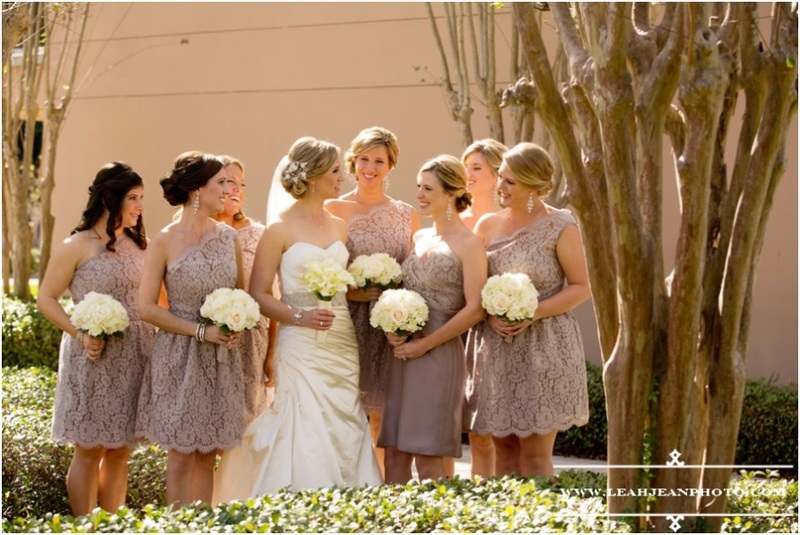 Her bridesmaids greeted her with warm smiles while holding our bouquets of white roses and hydrangea. 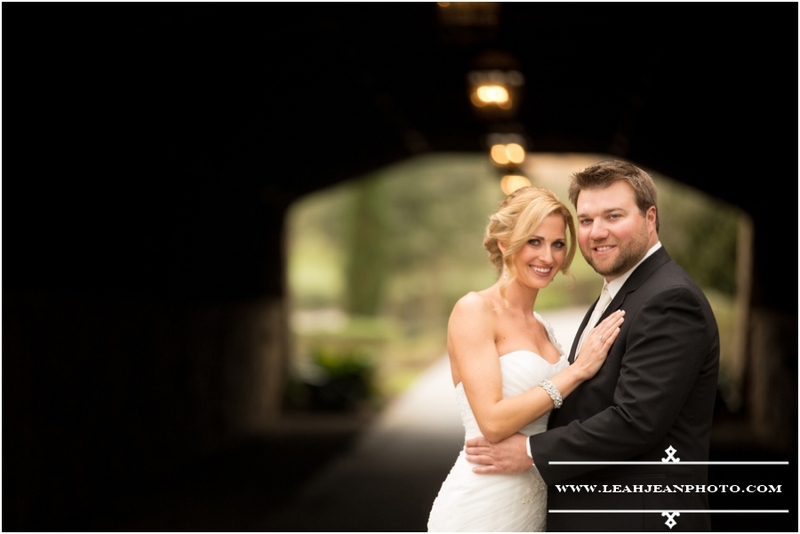 With Leah Jean Photography capturing the event, the happy couple and guests alike can relive this beautiful day forever. 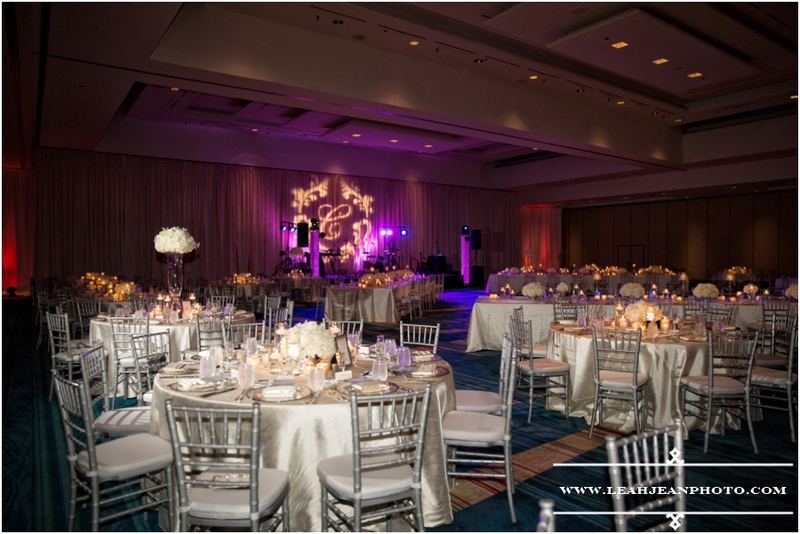 The reception was held at Hyatt Regency Grand Cypress and the music that guided the evening came from Leonard Brothers Band. The room was all white. Everything from the tablecloths provided by Swag Decor to the chargers delivered by A Chair Affair were pure white, making the perfect canvas for Kalidescope’s light show. 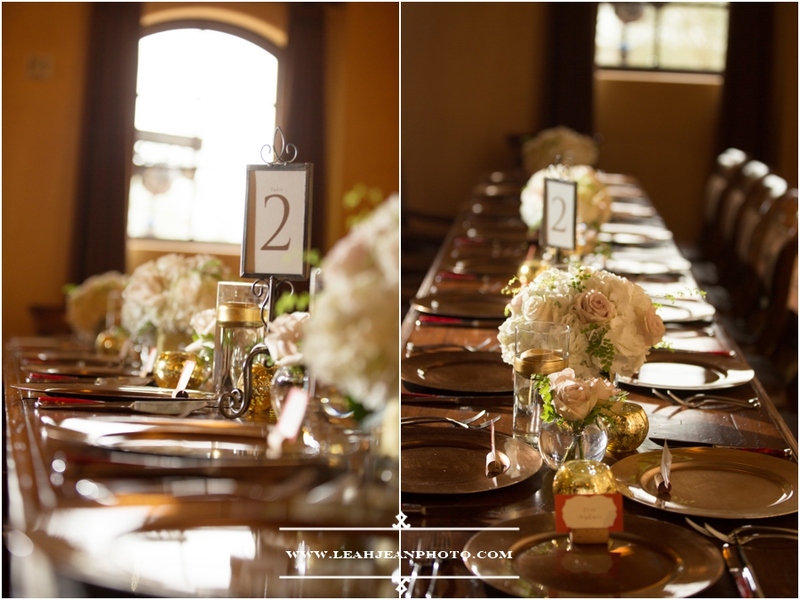 The tables were adorned with our white roses in small glass vases on the majority of the tables. Our VIP table stood out as our white rose arrangement sat atop a large glass flask that belled out at the top and base. 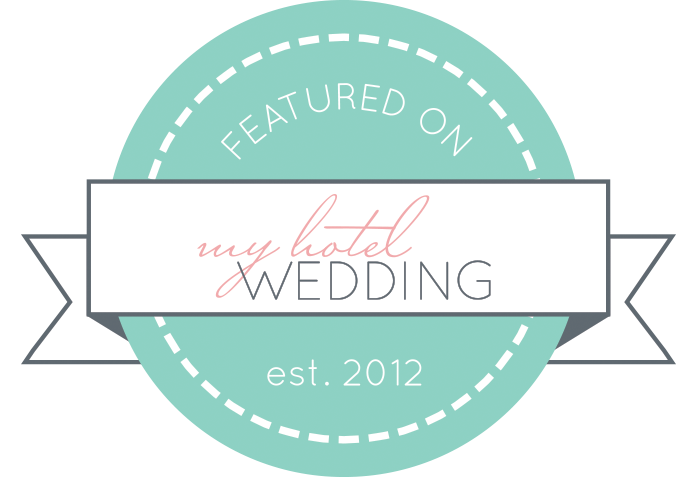 We would like to send our best to the newly weds on their new life together and thank all the vendors involved for their contributions. You all are amazing and made this dream a reality. 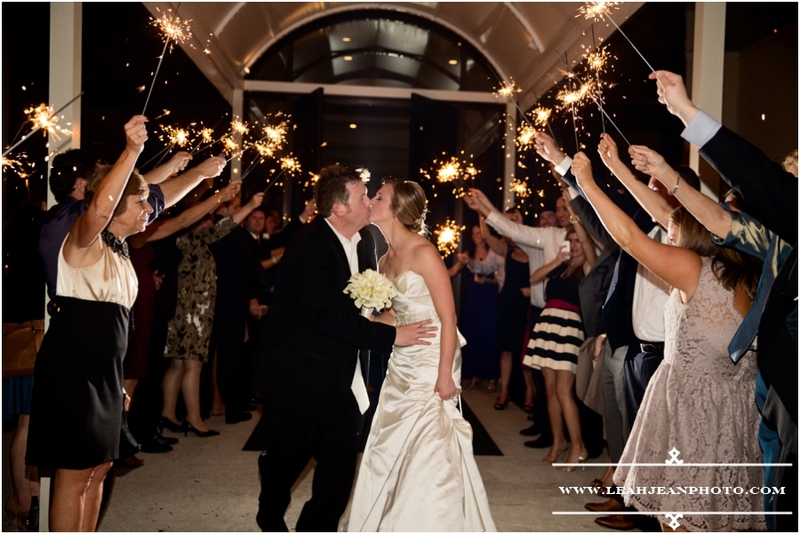 Orlando Ritz Carlton Wedding from Paul Duhon on Vimeo.